Plant City’s soon-to-be-paved list may be growing thanks to a massive savings in construction. 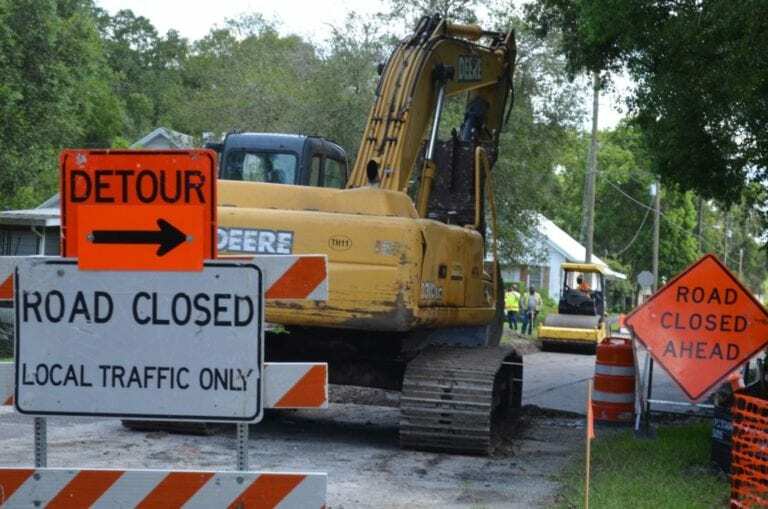 If you frequently commute throughout Plant City you’ll be glad to know the city is adding even more lists to its paving plan for the next fiscal year. For the past several years the city has made it a priority to fix up the abundance of dilapidated roads throughout town. It has already had more than 40 miles of roads paved and that number is set to continue to expand as many more miles are added to the “to-do” list. In January the city agreed to pave more than 16 miles of roadway. Now thanks to a surprise saving that list looks like it may soon grow. File photo. List of the approx. 16 miles of road the city has already agreed to pave. A large portion of the more than 16 miles of roadwork set to be completed this fiscal year weaves in and out of local neighborhoods, bringing the communities residents live in up to par. McDaniel and the city engineer will sit down to examine the state of all remaining roadways and determine which are the best to add to the list for repairs. The savings came after “working with a very professional vendor” and finding the estimated thickness needed of asphalt was slightly more than what ended up actually being needed for several roadways. Savings continued when the list commissioners were provided with in January of soon-to-be-paved roads, which was based on an engineer’s assumptions of $300,000 per mile, ended up with a new lower cost. There are still a few things to iron out, but McDaniel said the engineer is comfortable with the estimated numbers. Mayor Rick Lott praised the city for the good news and said it was always nice to have an estimate come in lower than expected, rather that the usual instance where it comes back at a much higher rate. “It’s kind of amazing because it seems like with any work we put out we build a contingency fund and the cost for construction is estimated so much that it’s hard to be safe with a 10 or 20 percent contingency plan anymore, so it’s really nice to have something go the other way 20 percent,” Lott said. The problem the city now faces is the fact that there are few streets left in desperate need of repair that don’t have major utility issues underneath the asphalt. McDaniel refuses to use tax-payer money to pave a street and then have to rip it up a year later when the utilities demand repairs so they’re attempting to tackle the “low hanging fruit” first. Calling the decision “just common sense,” he said the city has utilities that are 100 years old in some areas, systems that were put down in the 1920s and 1930s. Their time is almost up and he knows the next step is to focus on these massive utility repairs and then the corresponding repavements. Part of that planning can already be seen in the way the city paved Alsobrook Street. The majority of the street is paved and then it comes to an abrupt stop. The sewer pipes are so old underneath they were told not to even think about driving a massive paving truck on those streets. Roadways are a system that McDaniel said are more complex than it appears. The city is working hard to beat the clock on the major issues while also taking care of the simpler fixes with the money it already has available. “This is good news for our community that the system we have in place is working and we are paving all the roads we said we were gong to and potentially looking at adding more streets to that list,” McDaniel said.